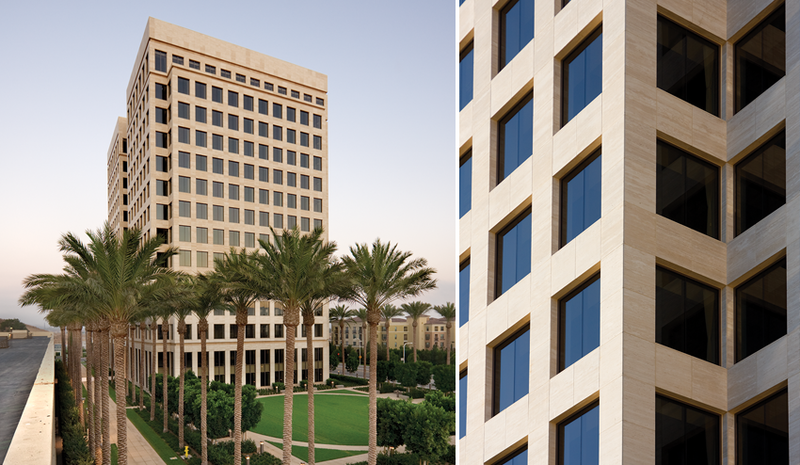 In 2008, KEPCO+ installed 225,000 SF of travertine on the exterior of two identical 15-story towers in the prestigious Irvine Spectrum Center. 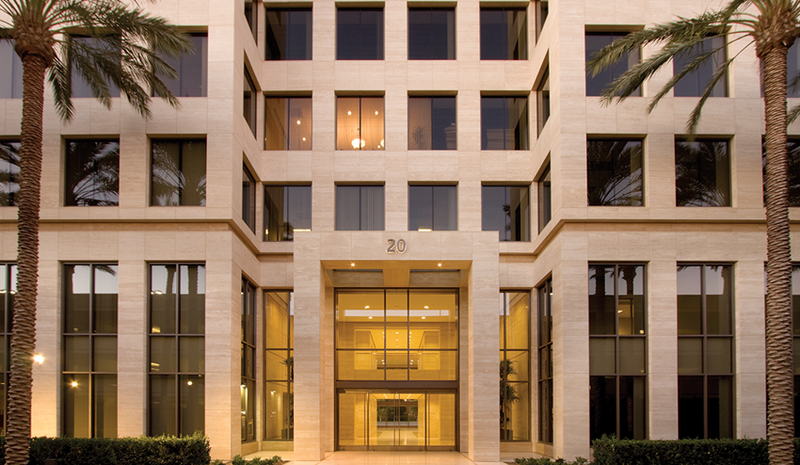 Natural stone was selected for the exterior of these twin structures to reflect the quality and luxury synonymous with the developer's brand. 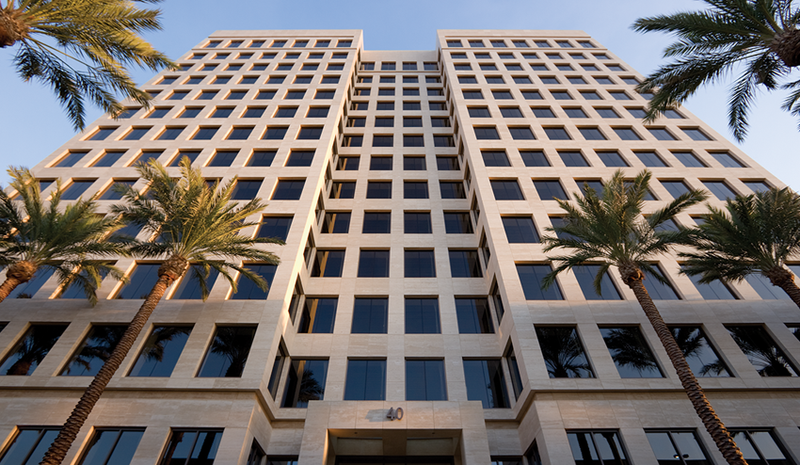 Each tower is clad with over 14,963 pieces of unfilled, honed Roman Classico Travertine and 726 pieces of Turkish Brown Travertine. 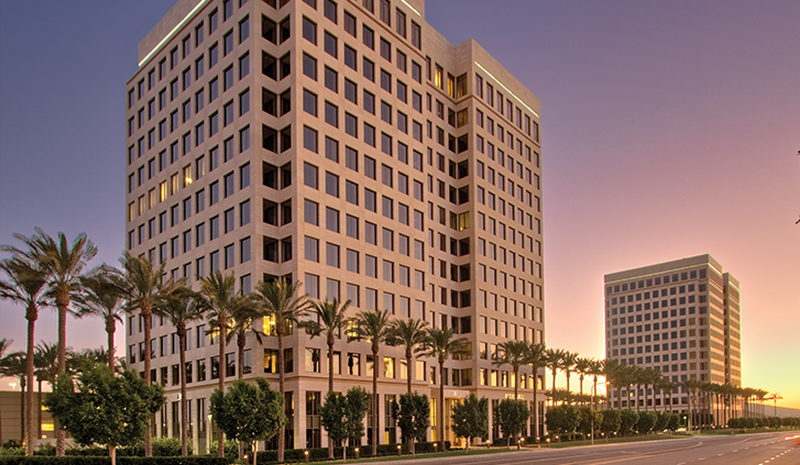 The entrance canopies were handset while the towers utilize 1,860 Cygnus Panels per building.